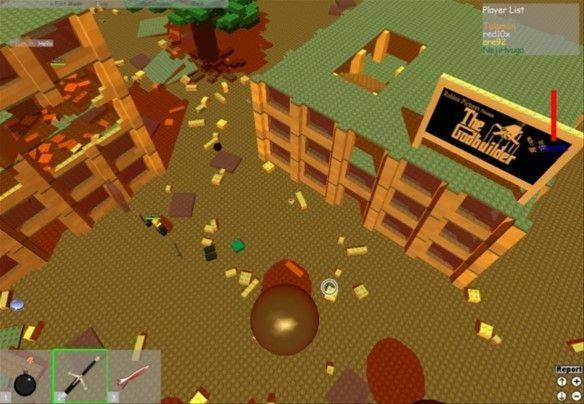 In Roblox players are able to design and build their very own games that can be played by a community of hundreds of thousands of players who are able to play your games and rate them. As designer players are able to fully designed the maps and locations that their games are set in as well as scripting the various elements to define what type of game genre the game fits into e.g. FPS, Racing, etc. This unique MMO offers unlimited hours for creators who love to design their own levels and for players who like to try out original games as the library continues to expand as more games are constantly added every day. The game itself can be accessed through your web browser and when the games launcher has been downloaded and installed players are able to open games in their own browser window from the Library and leaving the game is as easy as closing the browser window and then finding a new want to play. There is a huge range of different games that players can create and play in Roblox, falling into large diverse selection that ranges from Fantasy games, FPS games, Racing and Sports simulators, Puzzles, Building games and many more. A large number of the games that are created are uniquely themed original ideas that have been designed from the ground up by members of the community, however there are also a wide selection that are based on popular game franchises like Grand Theft Auto, the Super Mario Bros. Games, FPS titles such as Call of Duty and Battlefield and newly released games like Watchdogs. Some games feature familiar characters like the Marvel Heroes, My Little Pony, Spongebob Squarepants, Pokémon and even new current animations such as Frozen. With thousands of available games to choose from players can quickly filter them using a variety of different criteria such as game Genre, the Most Popular games, Featured, Most Favourited as well as the time range that the player wishes to search and such as Most Popular games today, this week or all time. When joining the game players load up the title and can see how many hundreds of thousands of players are currently playing that same game, but they will join a separate server that hosts however many players each instance of the game is supposed to hold (eg. a 16 vs 16 FPS game will only hold 32 players on a single server). Every player has their own community profile page that other users can check which will publicly display places that they have created, any Groups they have joined for cooperative projects or organised Clans, any achievements that they may have acquired or badges they have earned, including those created by the community and earned through playing their games. Profiles also list a players personal items that they have bought, including their full list of clothing items, character customisation options such as heads, faces and more that can be purchased through the game Catalog using the official Robux in game currency.